Last week, Sony released a teaser ad that suggested it was finally getting with the times and releasing reduced-bezel, curvy smartphones at MWC. 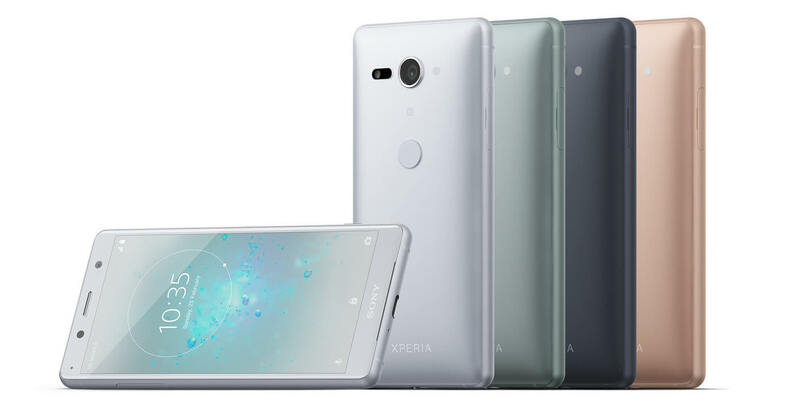 With the Xperia XZ2 and XZ2 Compact, the company has lived up to its promise and moved away from the old-fashioned previous designs. Both handsets come with curved backs—an improvement over their predecessors’ boxy look and feel. The large bezels in the original Xperia XZ series have also been shrunk, giving the new handsets a higher screen-to-body ratio. Internally, both phones feature Qualcomm’s new Snapdragon 845 platform—the same SoC found in Samsung’s recently unveiled Galaxy S9/S9+. The XZ2 comes with a 18:9, 5.7-inch Full HD+ HDR display, while the XZ2 Compact has a 5-inch screen that’s also full HD+ with HDR capabilities. Thanks to Sony’s XReality engine, the XZ2s can convert standard video into HDR within any app, though it’s unclear how well this works. The XZ2s boasts 4GB of RAM, 64GB of internal storage, Android 8.0, MicroSD storage expandable up to 400GB, rear fingerprint scanners, and 19MP rear cameras that are supposedly excellent in low-light and can record 4K HDR video. The 960 fps shooting mode from the last generation—another feature found in Samsung’s S9s—makes its way to the XZ2s, but video can now be shot in full HD instead of 720p. Another new feature in the XZ2 is the upgraded haptic engine. Taking cues from its PlayStation rumble controllers, Sony's phone vibrates to match the action in movies and games. It even pulses along to music, but that might not make up for the lack of a headphone jack. The XZ2 Compact differs from its larger brother by missing out on wireless charging, the new haptic engine, and glass rear—it comes with a non-scratch polycarbonate finish, instead. Additionally, its 2870mAh battery is smaller than the XZ2’s 3180mAh version. Still no word on pricing on a release date, but you should be able to order the XZ2s online later this spring.